The 5th Annual Miss Teen Earth Pageant will be taking place on Wednesday, September 28th, and lovely Vivian Noralez will be the first to represent Belize at the pageant. For the third consecutive year, the event will be hosted in Panama City, Panama at the Continental Hotel, and will see the participation of several beauties from Latin America vying for the crown and title. 17 year-old Noralez is a former contestant in the Miss San Pedro Pageant in 2015. She decided to participate in the upcoming international pageant, declaring that she is more than ready to take on the challenge. “The excitement I received from the franchise in Panama is unbelievable. Panama City is waiting to see what Belize has to offer. I am more than ready and proud to display my Belizean culture and environment with class and poise,” said Noralez. 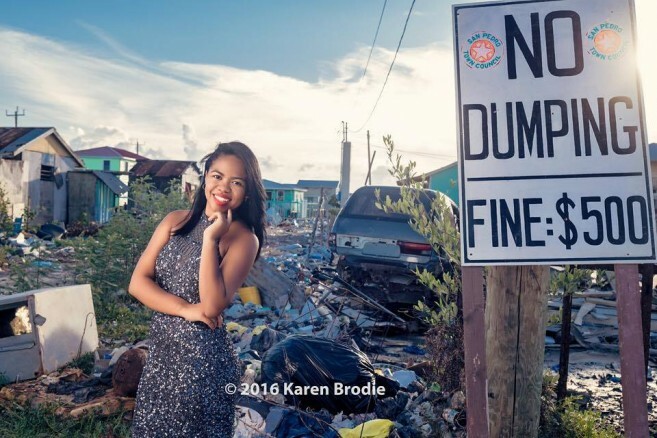 Miss Teen Earth goes beyond your average pageant, as it promotes issues regarding the environment around the world. Noralez states that knowledge is definitely the key to winning this competition. “Miss Teen Earth Pageant is not just about putting on the nice outfits and having a pretty face. There's more to it. The theme for this year’s pageant is "Green Everywhere." The pageant strives to promote ecotourism and environmentally beneficial activities that include: a reforestation held on site, refuge to exotic plants and animals considered endangered. You must be very knowledgeable in these areas to succeed in this pageant,” said Noralez. The competition will see the traditional pageant components like swimsuit, national costume and evening gown segments, followed by an interview with the judges, as well as on-stage questions. Although this is Noralez’s first international pageant, she has been rigorously preparing for it. “I’m preparing a lot for this pageant, and I’ve been reading to improve my knowledge on our environment here in Belize, focusing mainly on our reef since it's the most vital part of our ecosystem in San Pedro. This is the same knowledge I will share in Panama to raise awareness. Most people aren't aware of our country and what it has to offer,” said Noralez. Her main goal and dream is to bring home an international title. After this experience, she plans to continue working to build herself as a beauty ambassador. She also plans on competing at Miss Earth after Miss Teen Earth, hoping to represent at various international pageants.